When a civil lawsuit is filed in Texas, it triggers pre-trial “discovery.” This is a process in which both the plaintiff and defendant can ask questions, request documents, and conduct depositions to get a clearer picture of the basis for the plaintiff’s lawsuit. An important component of pre-trial discovery is the Request for Admission. According to Texas Rule of Civil Procedure 198.1, you can submit this request in writing where the other party must either admit or deny the veracity of a matter that falls within the scope of discovery. This includes opinion statements or factual statements. You can also raise an objection, if appropriate. The purpose of Requests for Admission is to simplify and narrow the scope of the lawsuit. Basically, if a party can simply admit a specific fact or opinion, it will save that party from using time during a trial to establish the veracity of a fact or opinion. Requests for Admission can also be used to address complex issues by requesting that a party apply state law to the facts of the case. It is quite common for Texas attorneys to try and use Requests for Admissions as proverbial weapons in an effort to trip the opposing party. For example, if Plaintiff’s counsel submits a Request for Admission to Defendant’s counsel to “admit or deny that the Plaintiff suffered five million dollars in damages,” will likely be considered improper since an admission would effectively eliminate a Defendant’s ability to defend against the Plaintiff’s claim for monetary damages. In addition, the amount of damages to award, if any, is an issue for a jury to decide. Another example is a Request for Admission seeking a Defendant admit that it was 100 percent the proximate cause of an accident. These improper requests are often included in the hopes that a party will miss the response deadline which would effectively mean that the requests are admitted (more on this topic below). If you are served with Requests For Admission prior to the issuance of your Answer to the Complaint, you have 50 days to respond. If, on the other hand, you receive the requests later in the discovery process, you have 30 days to respond, according to Texas Rule of Civil Procedure 198.2(a). If you do not respond within this timeframe, all of the requests are automatically considered admitted, according to Texas Rule of Civil Procedure 198.2(a). So, when you receive these requests, make sure to contact your attorney right away so a response strategy can be developed. 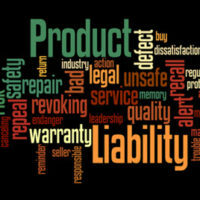 If you or your company is sued for an allegedly defective or dangerous consumer product, you need the services of experienced and skilled defense attorneys who are ready to take on these types of product liability lawsuits. The Brownsville law firm of Colvin, Saenz, Rodriguez & Kennamer L.L.P. possesses decades of experience in this area of law. Contact our office today to schedule a meeting.